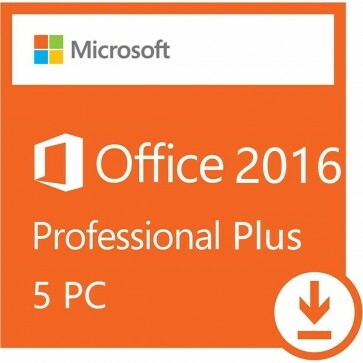 MS Office 2016 Pro Plus is licensed for home and commercial use. It includes classic 2016 versions of Word, Excel, PowerPoint, OneNote, Outlook, Publisher, Access, and Skype for Business. NO SUBSCRIPTIONS! INSTANT email delivery in 1-12 hour and DIRECT download from Microsoft, plus 1-YEAR of FULL SUPPORT INCLUDED. For professional results, you need Microsoft office tools. Office 2016 Professional Plus includes the apps you need to get more done and work from virtually anywhere. Start a document on your laptop, then revise it on your phone or tablet. Work with your colleagues to review and make edits and see them in real time. With Outlook email, shared calendars, and task-list tools, you can manage schedules, and keep your business running smoothly. Create professional-looking sales brochures easily with Publisher or use an Access database to keep track of your inventory. Sign in with your Microsoft account, or create one if you don't have one. Enter your Office product key, without hyphens. PC: Microsoft account • Internet access • Windows 7 or later • 1 Ghz faster x86 or x64 processor with SSE2 • 1 GB RAM (32 bit); 2 GB RAM (64 bit) • 3 GB available disk space • 1280× 768 screen resolution.